O.P.M.S. 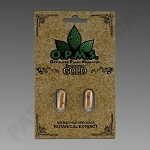 Gold Kratom is an extract Kratom, not crushed Kratom leaf. Authentic O.P.M.S. Gold Kratom Bags, for anti counterfeiting measures, have lot numbers and individual serial numbers printed on the front of each bag. O.P.M.S. 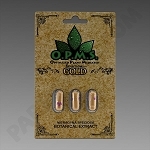 Gold Kratom Capsules also have the 3 leaf logo printed on each individual capsule in purple ink. Details on Discounts from up charges on capsule extract are in the item descriptions. 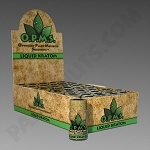 No up charge on Liquid O.P.M.S. products.